Much has been said of Xiaomi's success during the already concluded tech year - 2018 with the Chinese Electronic company weaving through the competition to come through with amazing devices as the Redmi Note 7. 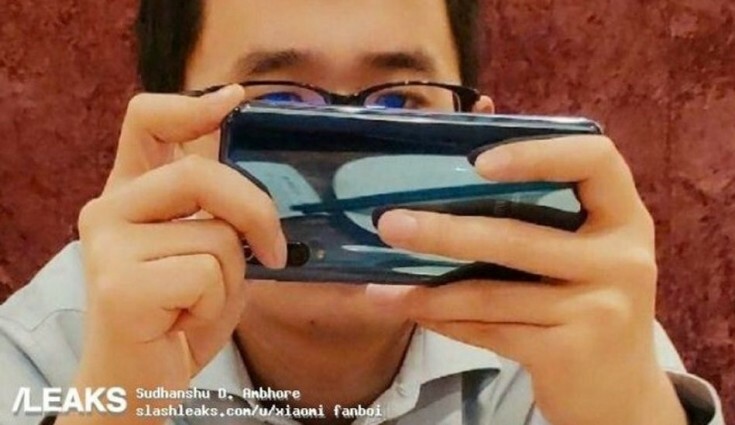 Xiaomi is expected to launch its next flagship phone dubbed as the Mi 9 later this month but photos are already making rounds on the internet of a phone allegedly to be the Mi 9. the photo first appeared on Weibo account (Chinese social networking site) which belongs to Xiaomi’s product manager Wang Teng Thomas. Though the image doesn’t reveal much except for the back of the handset which sports a vertically stacked triple camera module. Wang was allegedly spotted using the upcoming Xiaomi Mi 9 in the wild. The smartphone in the leaked image is coloured in metallic blue and has a reflective sheen to it. Based on past leaks, the Xiaomi Mi 9 could sport a 6.4-inch AMOLED display carrying a 1080 x 2220 pixel FHD+ resolution and 19.5:9 aspect ratio. The display may feature a water drop shaped notch at the top. The phone is expected to sport a triple rear camera module consisting of a Sony’s IMX586 48MP primary sensor + a 12MP secondary snapper + a third 3D Time-of-Flight depth sensor. The set up is similar to its predecessor Xiaomi Mi 8 but the difference is that the LED flash now is outside the camera set up. We can also see the “Mi” logo on the back of the device but there is no fingerprint scanner, which hints that the Mi 9 could feature an in-display fingerprint scanner just as being speculated. The rear of the device is covered in glass which is believed to be Gorilla Glass 5 or the latest iteration Gorilla Glass 6. The front is speculated to host a Sony IMX576 24MP sensor. The device could be powered by Qualcomm’s Snapdragon 855. We could have two memory variants of the phones- 6GB RAM + 128GB internal storage and 8GB RAM + 256GB internal storage. All of this could be fueled by a 3,500mAh battery with support for 27W fast charging. The phone may run Android 9 Pie with MIUI 10 on top and its rumoured dimensions are 155 x 75 x 7.6 mm. There will also be an Explorer Edition of the flagship smartphone. That's all the Mi 9 leak could offer but with the device launch imminent, it would only be a matter of time before the public gets to lay their hands on Xiaomi's new flagship device.